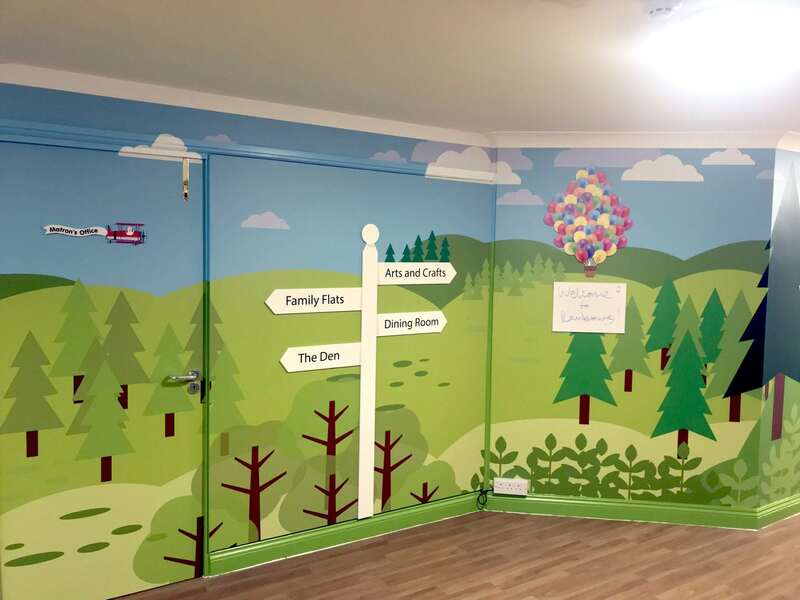 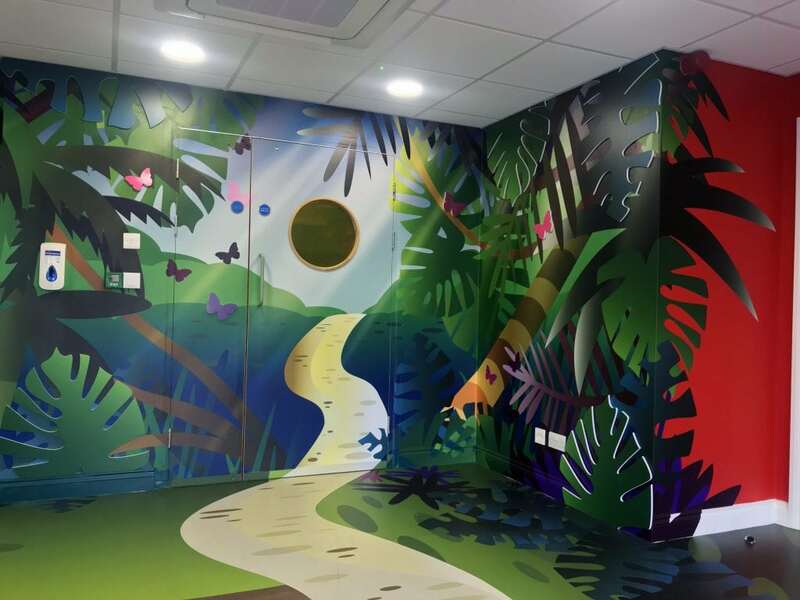 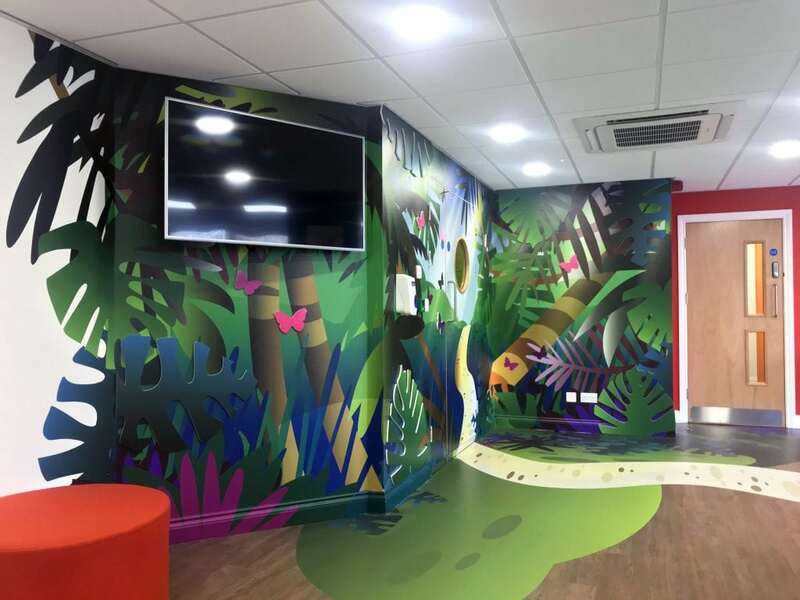 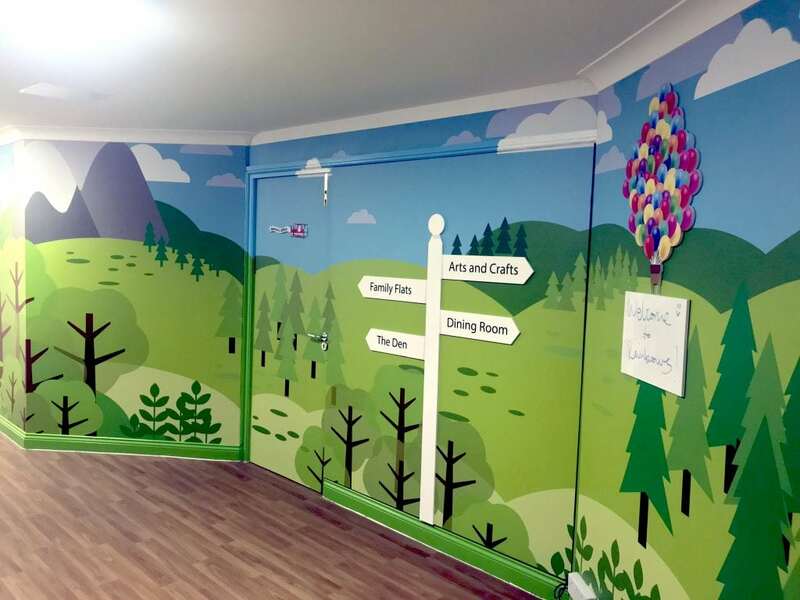 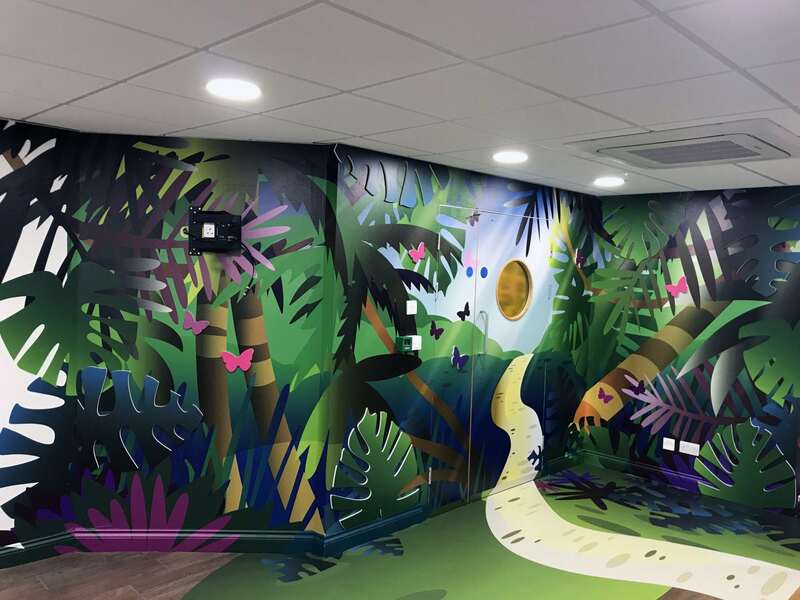 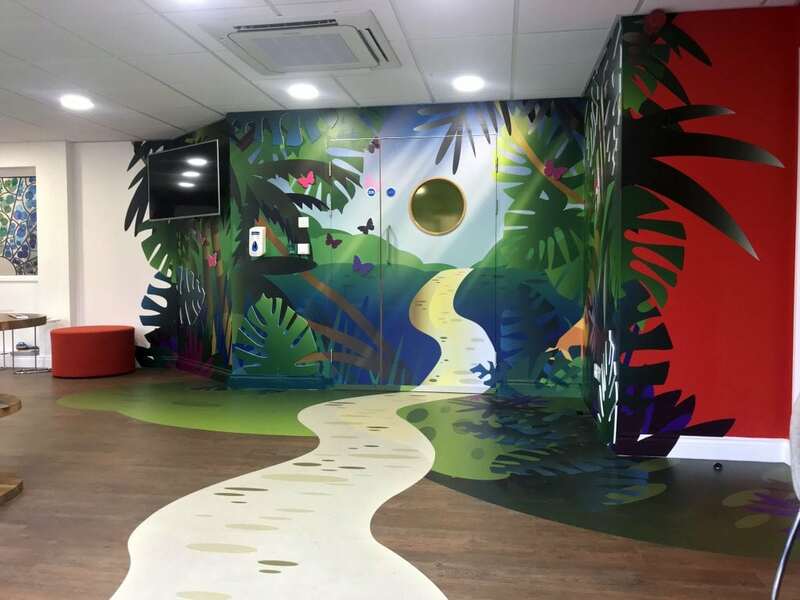 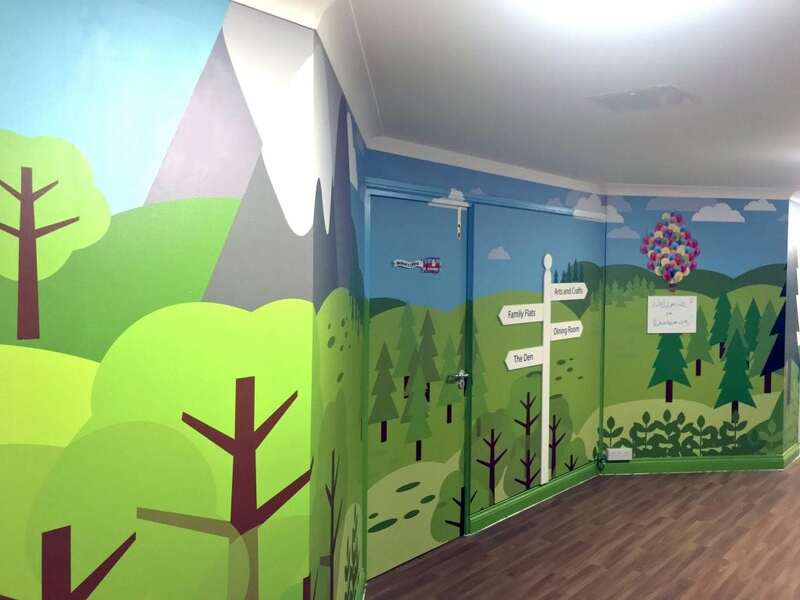 ‘Following a recommendation, we approached Soulful Creative to recommend some ways that we could make the entrance to our children’s hospice a little more wonderous and a lot less daunting. Coming to a children’s hospice for the first time is a huge step for all involved, as it is a moment of reality that the life you thought you would have for your child is not how it will be. 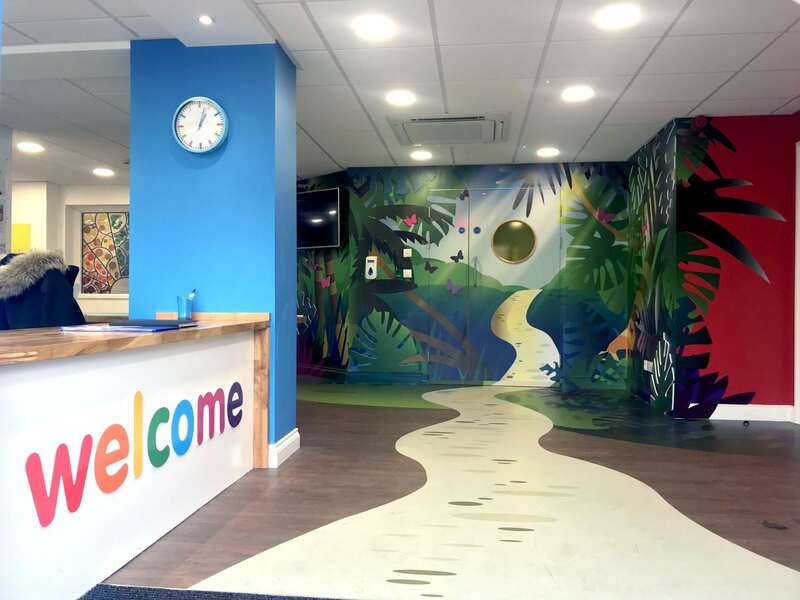 As the East Midland’s only hospice for children and young people with life-limiting conditions Rainbow’s Children’s Hospice wanted to make every visit feel as safe and welcoming as possible. 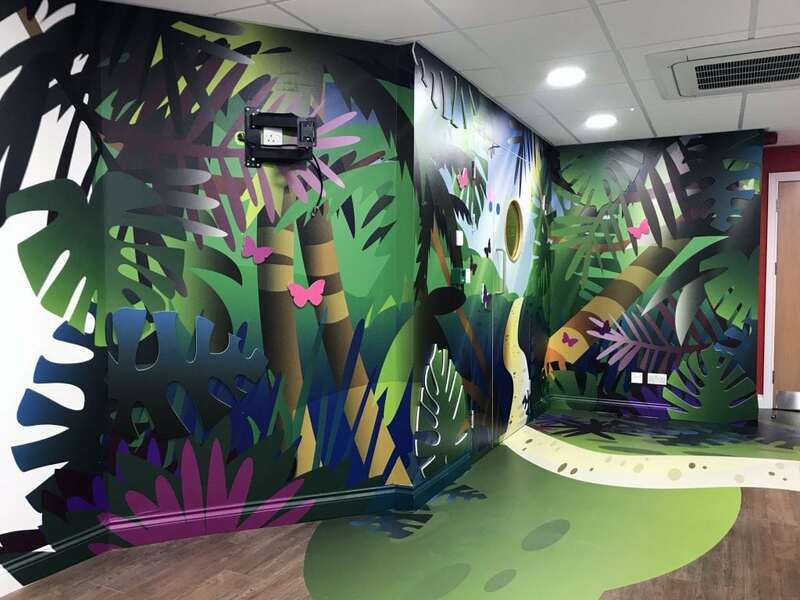 Working alongside Blueprint Interiors, we were asked to transform the reception area, and provide a sense of intrigue and magic that would appeal to all ages. 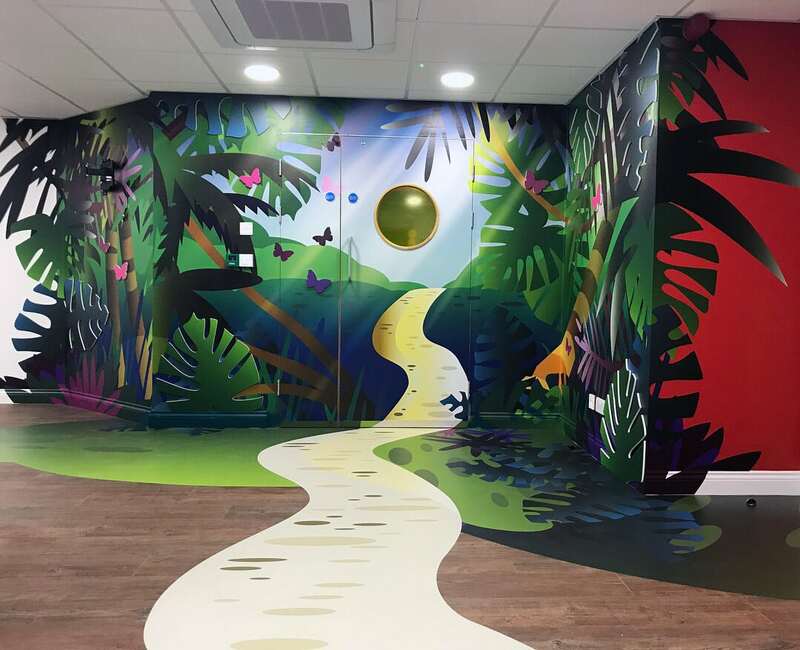 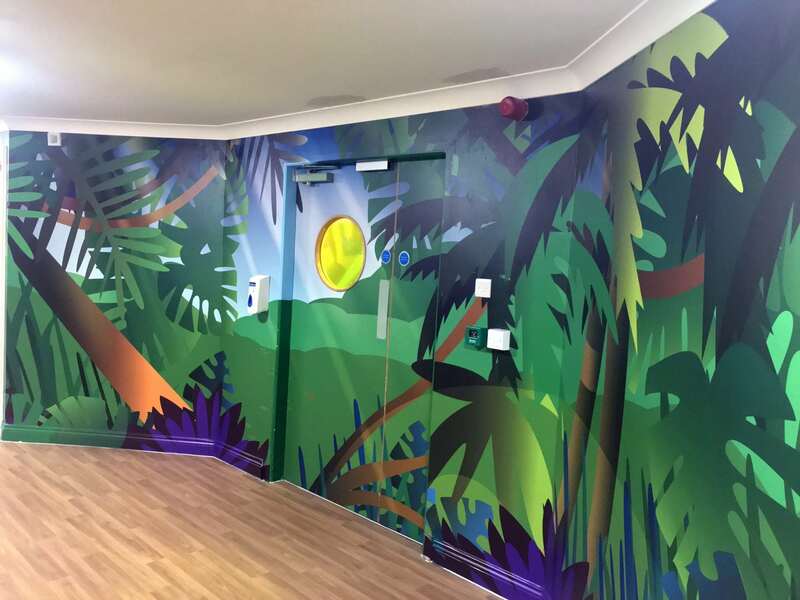 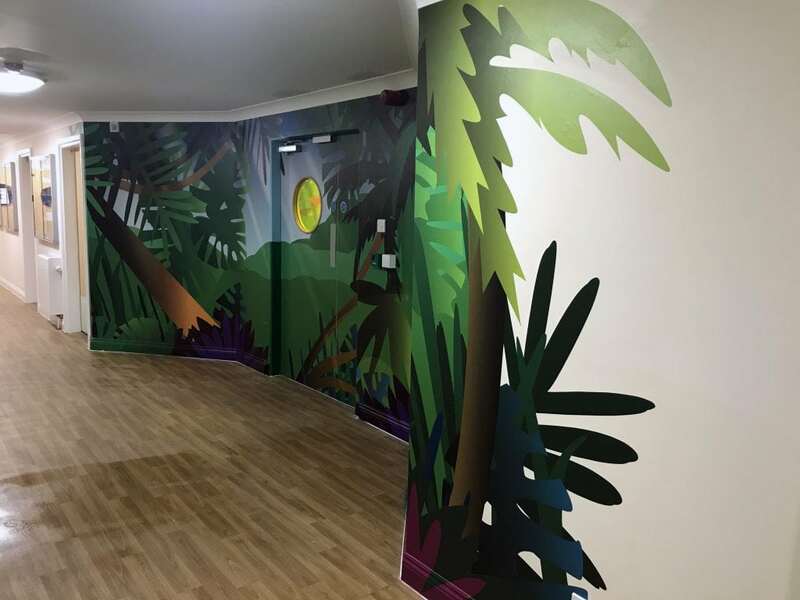 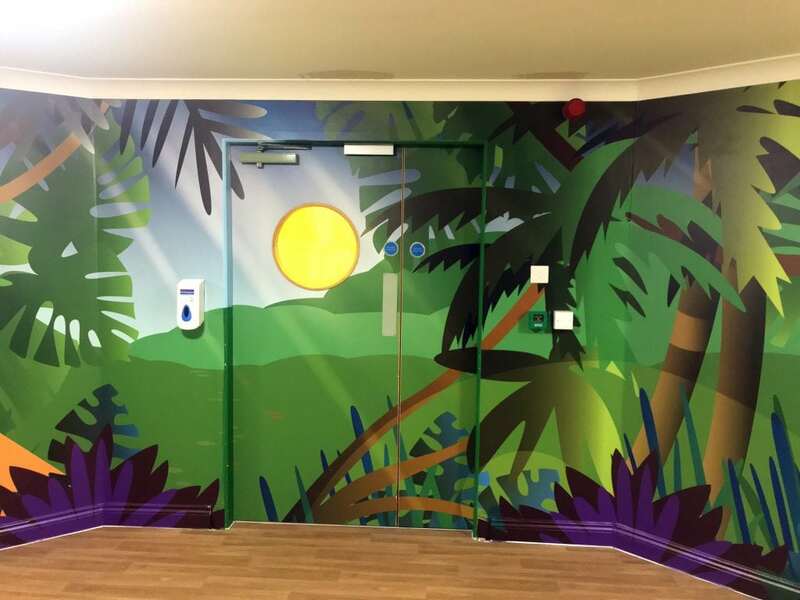 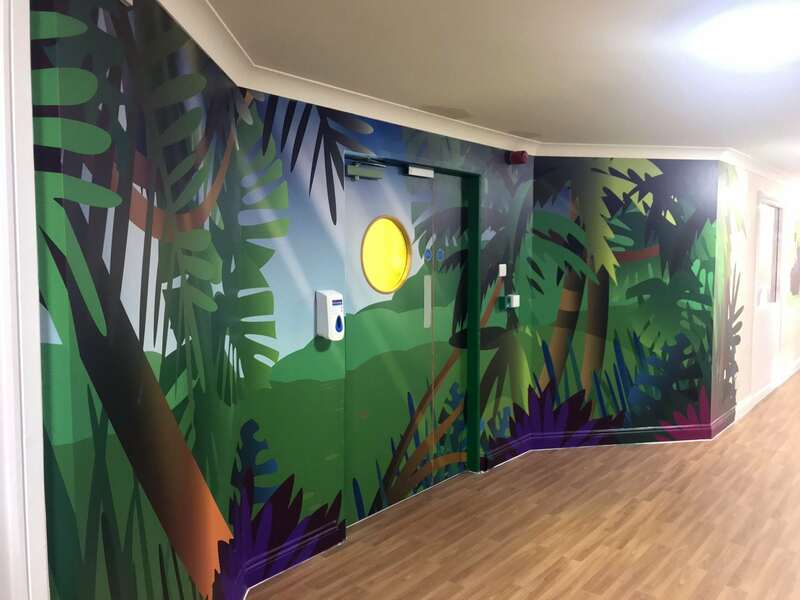 We came up with the idea of a rainforest as the focal point for the entrance to the hospice, with a yellow brick path leading you to the reception desk and then beyond. Elements from the mural were continued on the floor, and the other side of the doors also carried the rainforest theme helping redirect people back to reception. 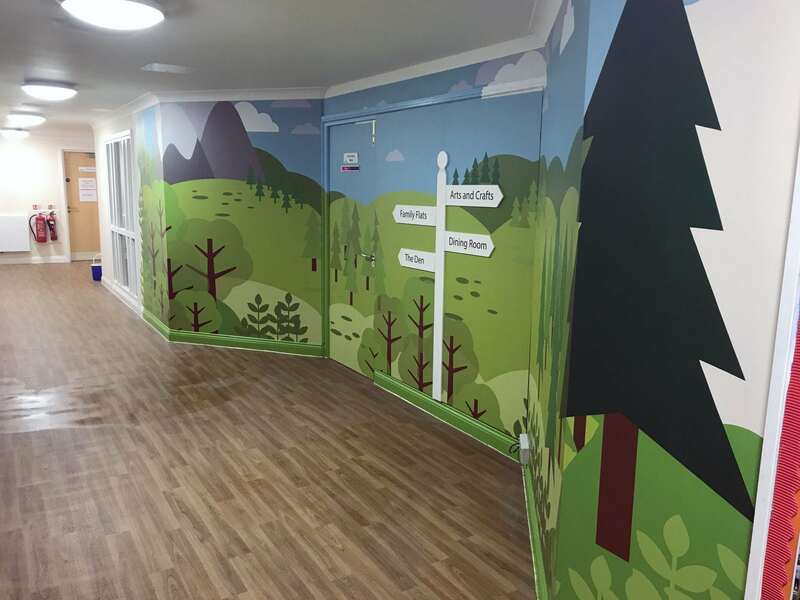 Once through the doors, children and their families are greeted by a fresh and friendly Alpine scene providing way-finding to matron’s office, dining room and the family flats.